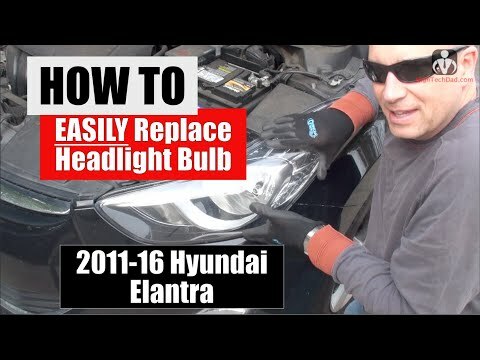 Replacing the headlight bulbs on a 2013 Hyundai Elantra is really not as hard as people seem to be saying. And you CAN definitely do it yourself and save some money. My video walks through both the driver- and passenger-side front headlight bulb replacement on the 2013 Hyundai Elantra. I believe this process will also work for 2011, 2012, 2014, 2015 and perhaps other Hyundai Elantra model years. No need to remove the bumper or any madness like that. While it’s not super simple, it’s not that bad (take if from a non-car guy). Basically it’s your choice. Brighter bulbs don’t last a long but are a bit safer because they are bright. Less bright ones will last a bit longer. Bulb size for the 2013 Hyundai Elantra is H11. Note: this is NOT an LED install although the process for removal is similar. Installation of LED bulbs may require you to get a different dust cover or leave it off altogether. Want more HighTechDad content? I’m on a bunch of different social networks! But where is it all? Over at http://www.HighTechDad.com ! Disclosure: I have a material connection because I received a sample of a product for consideration in preparing to review the product and film this content. I was/am not expected to return this item after my review period. All opinions within this video are my own and are typically not subject to the editorial review from any 3rd party. Affiliate Links: Some of the links in the description above may be “affiliate” or “advertising” links. If you click on the link and purchase the item (sometimes but not necessarily the product or service being talked about), I will receive a small affiliate or advertising commission. DISCLAIMER: This video is being performed non-professional. If you make repairs to your vehicle or systems therein, this activity carries some risk of personal injury. Please follow safe practices when working on vehicles. Use safety glasses, gloves, etc. This video gives no guarantee or warranty. Use the information in this video at your own risk. If this video looks too difficult for you to do, it’s probably better if you have a professional do it.